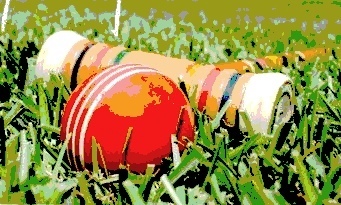 How many versions of croquet do you know? I was asked recently at a dinner party how many different games of croquet I know since I remarked that I knew of at least a half dozen versions. The one asking the question, immediately rattled off the three most common versions played on the manicured lawns at various country clubs around America: American 6-wicket, Association 6-wicket and Golf Croquet. While these are now very popular games played in tournaments around the country, these are only the major versions of these games. 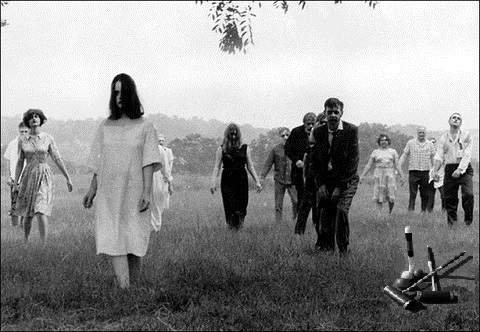 For example, within Association 6-wicket croquet, there are numerous versions played regularly by a vast number of players around the world. Besides the commonly played Advanced rule game, there is the handicap play without bisques, and there is the Super Advanced version of the game. Besides playing to 26 points, there are shortened versions of the game, like 14 and 18 point games. In the 18 point game, after the player has scored its first wicket, the partner ball is immediately advanced to 3-back and the player can now try a quadruple peel-out to win the game in one turn. In the 14-point game, the players are granted lift shots after scoring hoops 3 and 4. Making a lift after hoop3 makes for a very difficult triple peel-out during the second break. 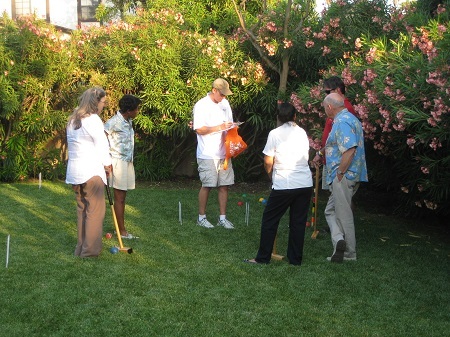 In Golf croquet, players may play to score the best of 13 points, or may choose shorter or longer games, best of 7 points or best of 19 points. 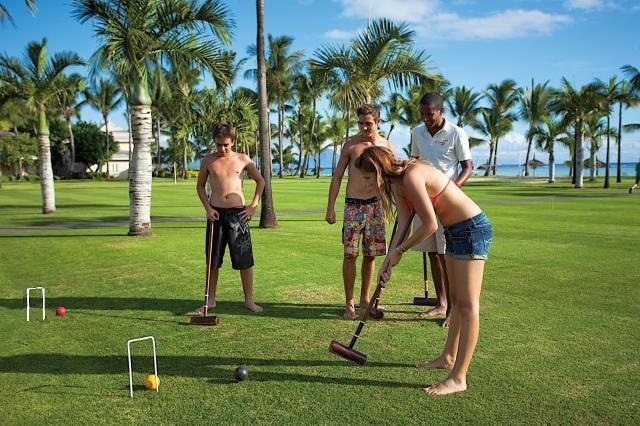 As with Association handicap play, Golf croquet has the option of Handicap bisque play, whereas when one player has a handicap difference of 6 against the stronger player, then the weaker player is given 6 extra turns. 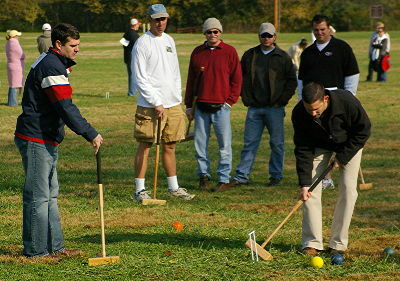 In Association play, when a player is granted a full bisque, the player may score additional hoops in the extra turn, but in Golf Croquet, no point may be scored for the striker’s side in an extra turn, just like a 1/2 bisque in Association croquet. In American 6-wicket, there are provisions for playing with handicap bisques, but rarely are these tournament scheduled and thus most players do not even know how beneficial they can be at leveling the playing field between players and offering enhanced fun for both playing sides. Once a handicap Is established, normally by your club pro or club handicapper, then adjustments are earned after winning or losing games. The winner of a handicap game collects 10 points, while the loser subtracts 10 points from his/her index. Besides these versions, I also have played 1-ball games, which are great at improving pegged out game strategies. As for 9-wicket, I have played 9-wicket in my back yard, in a large park area (with a larger court size), and I have played 9-wicket on a clay court surface, which is a very fast, smooth and excellent court surface. My grandfather made custom mallets with rubber on one end and a hard phenolic surface on the other end. These mallets were used by roque players as well from Kentucky to Maine. The version of the game was as far removed from the back yard game as is the 6-wicket game that is played on a grass lawn cut down as close as 3/16” and quick as a putting green. Nine wicket players each adopt local rules that suit their style of play and match what they have learned over the years. 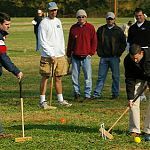 During the National croquet tournament, the choice of the rules is up to the tournament director and the USCA offers them a variety of options from which to choose. Sometimes one flight may play by a different set of rules than another flight – just to encourage some additional flair to the tournament. If you know of a version that you like to play, but do not think that is covered by the USCA options, please bring the matter up to one of the 9-wicket committee members and we will try to introduce your ideas into the mix. Comments welcome. Adding boundary lines defines the court and tightens up play.